Indoor swimming pool. The pool is part of the SPA center and has its depth is between 1.50 and 1.70 meters. The pool includes and children's sector, 0.60 m deep. 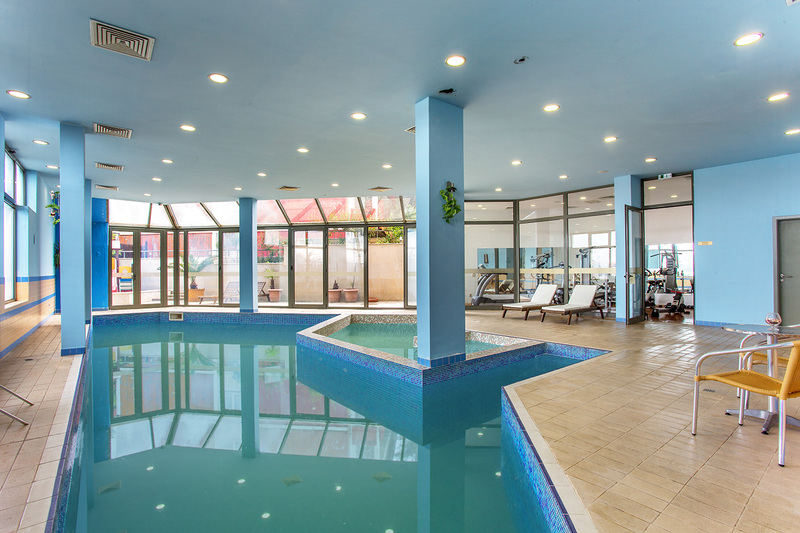 The indoor pool is situated next to the sauna, massage room and locker rooms. The pool is unheated in the beginning and end of summer season. Sun terrace with sun beds and umbrellas. On the terrace guests can enjoy the beautiful view of the sea, coastline and picturesque architecture of the old town with a refreshing drink or a favorite book. The terrace is located next to the indoor pool and spa locker rooms.